Utilizing the Expertise of 3 Certified Bed Bug Dogs: Sara, Cassie and Rex! 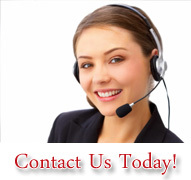 Bed Bug Dogs - Action Termite and Pest Control has been an exterminating company in New Jersey since 1971 and has always sought to provide our customers with the best customer service possible utilizing the latest technology. In recent years, the increase in the number of bed bug infestations has been dramatic. To help our customers with bed bug infestations, Action has developed it's K9 bed bug detection teams and is now servicing New Jersey, New York and Philadelphia. • If they are trusted by the FBI to search for drugs above all else. 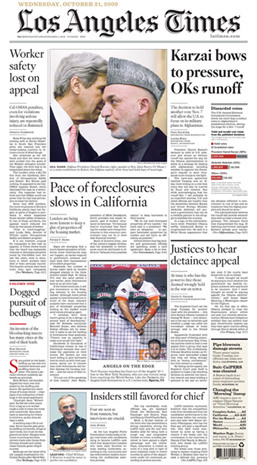 • If they are trusted by the FBI to search for bombs. • If they are trusted to find the lost and wounded, dead or alive, drowned or buried, can follow a scent through the rain, in a car, in a boat over miles and miles. KYW's Michelle Durham spoke to John Russell, general manager of Action Termite and Pest Control about how you get bedbugs and what it takes to get rid of them. 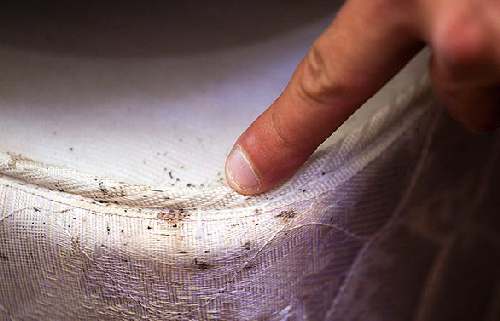 A trained professional inspector will only detect visible signs of bed bugs in a room with an accuracy rate of only about 30%. To find activity inside walls, baseboards, even under carpets, a room would have to otherwise be stripped down beyond the bare walls! 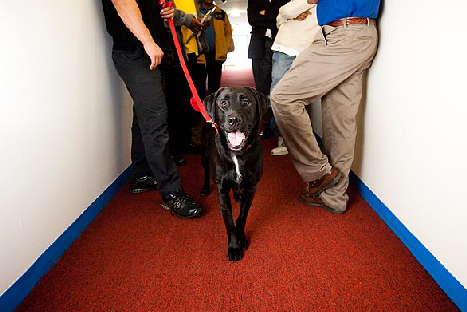 Due to a dog’s keen sense of smell, our trained dog can detect bed bugs even inside walls - with 90% accuracy, making his inspection a more thorough and accurate one. A more accurate detection means that if there is bed bug activity, our dog will be alerted to it and control measures can begin. Also note, no preps are needed prior to the dog. You've heard of Bomb dogs? 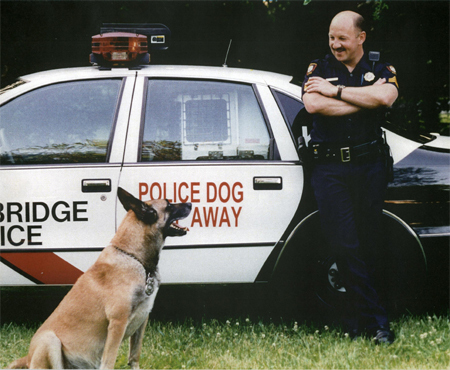 Drug dogs? Arson dogs? 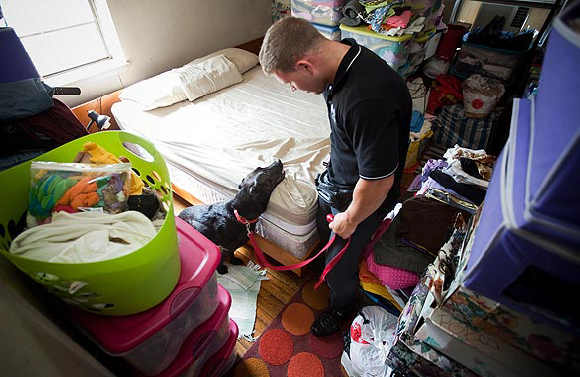 Now, Man's Best Friend is the latest weapon in the war on bedbugs. 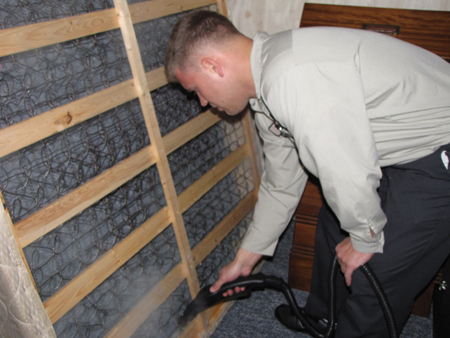 Traditional bedbug detection methods can be very time consuming and labor intensive. 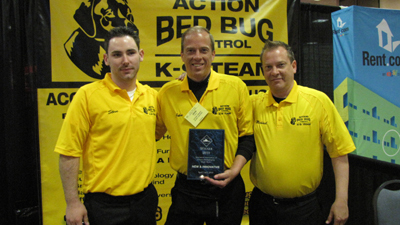 Certified Bedbug Dogs generate quicker and more accurate results. For example, the bedbug canine can search the average hotel room in less than two minutes.